lowland heathland supports a wide variety of threatened wildlife. Ed Miliband surfaced from the political ocean depths today, to join forces with Liz Truss. There’s a sentence I never expected to write. With Caroline Lucas and former LibDem energy minister Ed Davey, they have signed a joint declaration on why the UK needs to stay in the EU, for climate action and nature protection. The press coverage doesnt mention nature that much (when does it ever? ), for example the good done for nature in the UK by things like the Habitats and Birds Directive. That’s a pity because when it comes to the few things the Brexiteers have said about the environment, this is a weak spot which should be exploited. 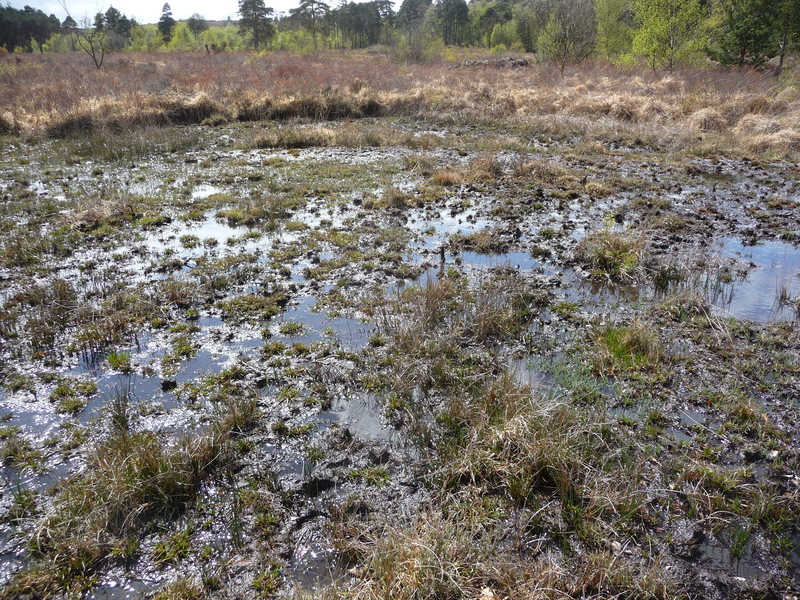 I happen to know quite a bit about this issue as I was working for English Nature and Natural England on heathland SSSIs when it first came up; and more recently at Footprint Ecology who have done a great deal of research on the issue. Threatened heathland birds such as nightjars, wood larks and Dartford warblers, and rare reptiles such as sand lizards and smooth snakes, are killed by domestic cats – and this has led to the introduction of a 400m zone around heathlands, where additional residential housing has been stopped. Residential care facilities and other types of housing where there are no cats anyway, is allowed. But the 5km zone around heathland sites protected under the Birds Directive is nothing to do with cats – it’s about managing visitor pressure on heathlands, especially visitors with dogs. And in any case there is new housing happening within the 5km zone, with the European law ensuring that a payment is made for each new house. Those payments support the costs of project to educate the public about the value of heathland nature and what they can do to help it, but also the provision of Suitable Alternative Natural Greenspace (SANGs), where dogs can be exercised without disturbing the ground-nesting birds. So the original piece of European legislation, has not only supported more sustainable growth and progress, but has also created the conditions for developers to think creatively, and provide more greenspace within new developments, that they would otherwise have done. And of course, that new greenspace will not only help reduce the impact of visitors on the heathlands, but also provide all the other benefits to communities that we know about, such as increasing mental wellbeing, and even increasing house values. Now I would be the first person to say that the 400m cordon, the 5km heathland mitigation schemes and SANGs approach is not perfect, but it is making a positive difference to nature on lowland heathlands, thanks to a law that would not have been implemented in the UK, had we been outside the EU. And if the UK does leave the EU, it is almost impossible to imagine this protection being maintained. Given the pressures that our nationally protected SSSIs are facing at the moment, removal of European protection for sites like heathlands, could lead to housing developments being proposed, and pushed through planning, on sites that have been protected from such development pressures for the past 20 years. Remember what happened to Canford Heath. This entry was posted in Birds Directive, dogs, EU referendum, greenspace, housing, Liz Truss, lowland heathland and tagged cats., EU referendum, Liz Truss, lowland heathland, Michael Gove. Bookmark the permalink. Gove and Brexit caught lying. I’m shocked! As I suspected, nature only appears at point 7 out of 10 and then it’s just birds.